Schoology - All about apps in YOUR classroom! Don't you wish there was a way to keep in touch with your students, facilitate discussions, assign and collect work, and integrate Google Drive all in one place? Welcome to Schoology, the best Learning Management Solution that you will ever need. Whether it is the web-based version or the full-feature app, you and your students will be happy that you made the move to Schoology. 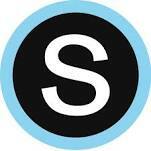 The bottom line is this: go to Schoology and sign up today. You will not be disappointed! For ideas or assistance with getting set up, feel free to email us or find us on Twitter.